Zug, Switzerland, September 27, 2018 — Today, the Energy Web Foundation (EWF) announced it has been named a finalist for the 20th annual S&P Global Platts 2018 Global Energy Awards in the category of “Emerging Technology of the Year.” Finalists in the category are recognized for the “research and development, ingenuity and commercialization potential of new technologies” in areas ranging from renewable energy, to energy storage, to blockchain applications. Across all categories, finalists hailed from more than 35 countries. “The Awards continue to become ever more global in nature, with 2018 bringing not only record participation, but nominations from more than 40 countries. While technology was front and center in every category this year—machine learning and blockchain applications most notable among them—there was a remarkable increase in corporate social responsibility (CSR) submissions,” said Murray Fisher, S&P Global Platts head of commercial events, Americas, and director of the Global Energy Awards program, in a statement announcing the finalists. 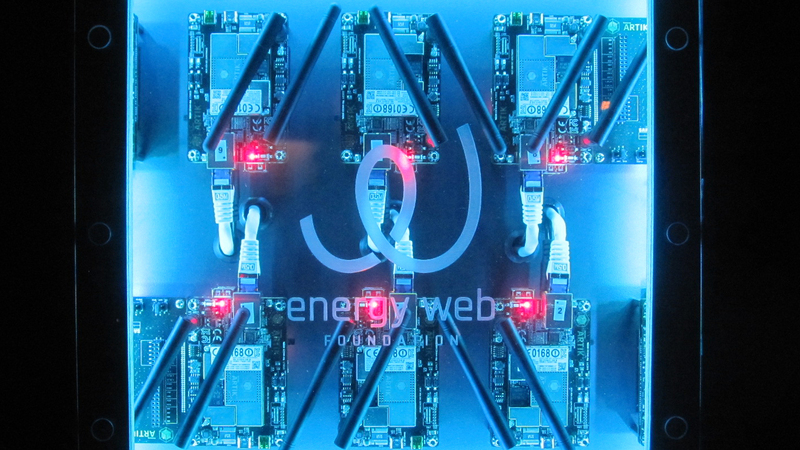 EWF is building an open-source, scalable blockchain platform specifically designed for the energy sector’s regulatory, operational, and market needs. A growing number of companies are building and testing applications on Tobalaba, EWF’s test network, which is currently in its beta release. The full Energy Web Chain is scheduled to launch via its genesis block in mid-2019. An independent panel of judges—including former regulators, past heads of major energy companies, leading academics, and international energy experts—will decide the winner. Final winners in all categories for the Global Energy Awards will be announced on 6 December 2018 at a black-tie celebration at Cipriani Wall Street in New York City. Energy Web Foundation (EWF) is a global nonprofit unleashing blockchain’s potential to accelerate the transition to a decentralized, democratized, decarbonized, and resilient energy system. EWF is building the shared, digital infrastructure—an open-source, scalable blockchain platform—specifically designed for the energy sector’s regulatory, operational, and market needs. Co-founded by Rocky Mountain Institute and Grid Singularity, and with a worldwide network of more than 70 affiliates and growing, EWF is the largest energy blockchain consortium and the industry’s leading choice as the foundational blockchain base layer, providing the digital DNA building blocks powering the world’s energy future.